Great value for the lot. Meets my needs well. Good groups. I have a new Kel-Tec PLR-16 and after about a hundred rounds have had no issues with this ammo. I sure will buy more. It's an excellent value. I was familiar with the ammo before I made my purchase so I knew what I was getting. I would like to say the service I received along with the follow up from Lucky Gunner was fantastic. Keep up the good work and let me know the next time these get back down to $.25 a shot. 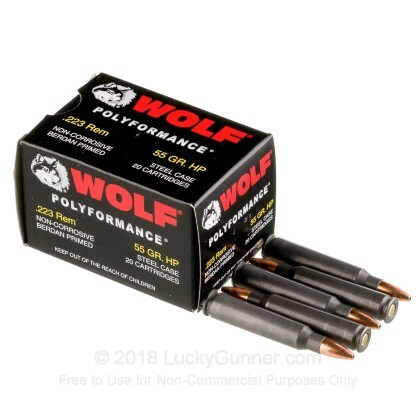 I have shot Wolf ammo before, and have always had very good luck with it. 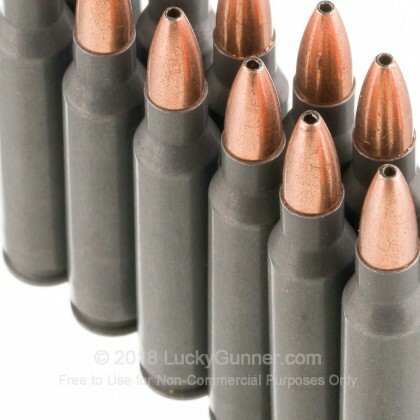 These poly coated rounds are easier on your gun than brass even so have no fears. Not competition ammo of curse but for everything else they more than up to the job. Get 3-5 in group at 300 yds. Expansion and hunting performance are excellent. Go for these...You,ll love them. I got a case of 500. Use half of it with no problem. Hit a 2 liter Pepsi many times at 100 yards. Shot a coyote 50+ yards make big damage. Great ammo. 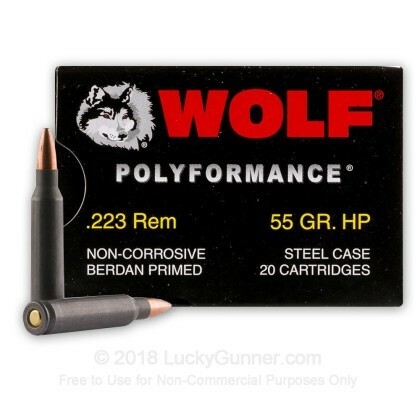 And yes I will buy more wolf ammo.Thanks guys to make a great product for less money. 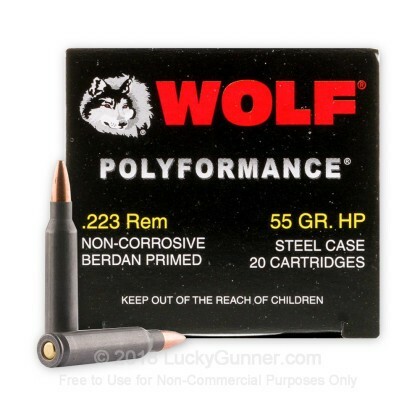 A: Hello Jeremiah, This Wolf ammunition is loaded with all non-corrosive components. 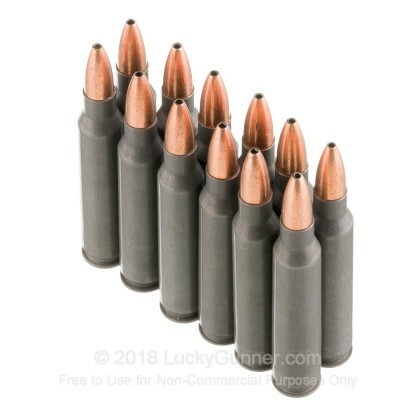 Q: Is this loaded with a bimetal steel containing bullet like the Tula ammo has? A: Hello Brian, You are correct. 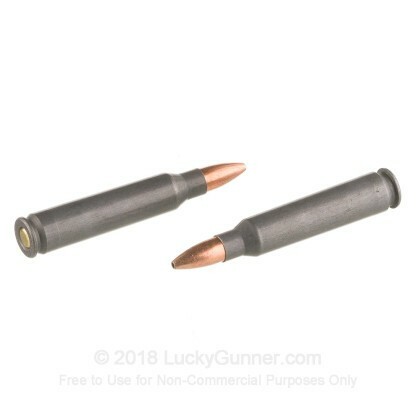 The standard Wolf steel cased ammunition also features a bimetal jacketed bullet.